The UFC is heading back to their home town in Las Vegas, Nevada for UFC 132 Cruz vs Faber. The event will be held at the MGM Grand Garden Arena this Saturday, July 2nd. The main fight between Dominick Cruz and Urijah Faber will be for the UFC Bantamweight Championship. In addition to this fight, there will be some others on the card that will feature some of the UFC’s favorite fighters. Let’s see what UFC President Dana White has put together for the main card at UFC 132 Cruz vs Faber. Dominick Cruz had been a wrestler his whole life and after his wrestling career ended he still had a desire to compete. That is when he started training in MMA, and how his MMA career began at the early age of 19. He began fighting with Rage in the Cage in Phoenix, Arizona. From there, he fought in a few Total Combat events before he eventually joined World Extreme Cagefighting (WEC). He was very successful, and became the WEC Bantamweight Champion on March 6th, 2010 when he defeated Brian Bowles via TKO, doctors stoppage. He defended his WEC Bantamweight Title twice. On his second defense, he became the first UFC Bantamweight Champion when the WEC merged with the UFC. He has won 8 fights in a row, with his one and only loss being against Urijah Faber back on March 24, 2007, when they fought for the WEC Featherweight Title. Cruz has great conditioning, and has shown to have a powerful punch, with 6 of his 17 wins coming by KO. He also has 10 wins by decision, and has a unique standup style that is difficult for his opponents to succeed against him. Cruz stays busy throughout his fights, throwing punches, kicks, and attempting takedowns. He is not a threat to submit, as he has only 1 submission win by rear naked choke 5 years ago. He has excellent defense avoiding strikes and takedowns, and is looking forward to his rematch against Faber. He is a defensive fighter at times, using counter attacks to gain an advantage. If he can avoid a big punch or submission by Faber, and the fight goes the distance, he should come out on top. Urijah Faber started wrestling in the 8th grade, and was a Division I Collegiate Wrestler at UC Davis. Shortly after graduating, he began training in MMA. Faber began his professional MMA career with the Gladiator Challenge promotion. From there, he fought for King of the Cage before joining World Extreme Cagefighting (WEC), just like Cruz. He won his first 8 fights, lost one, then won his next 13 fights while becoming the WEC Featherweight Champion. This will be Faber’s first opportunity to fight for the UFC Bantamweight Title, and it’s rather ironic that he is fighting Dominick Cruz, whom he beat to defend his WEC Featherweight Title back in 2007. Now Cruz is the champion and Faber is the contender. Faber is a strong fighter for his size, has quick hands, and good submissions. He has won 13 fights by submission and 7 by knockout. He is a brown belt in Brazilian Jiu-Jitsu and knows what it takes to be a champion. Faber is not quite as good as Cruz with his striking and takedown defense, but his aggressive offensive approach should help him, and keep Cruz off balance. Faber needs to look to slow Cruz down with some early attacks, and wear him down for the later rounds. If Faber is successful with takedowns, he could end up submitting Cruz, and becoming the title holder for a second time, this time as the UFC Bantamweight Champion. 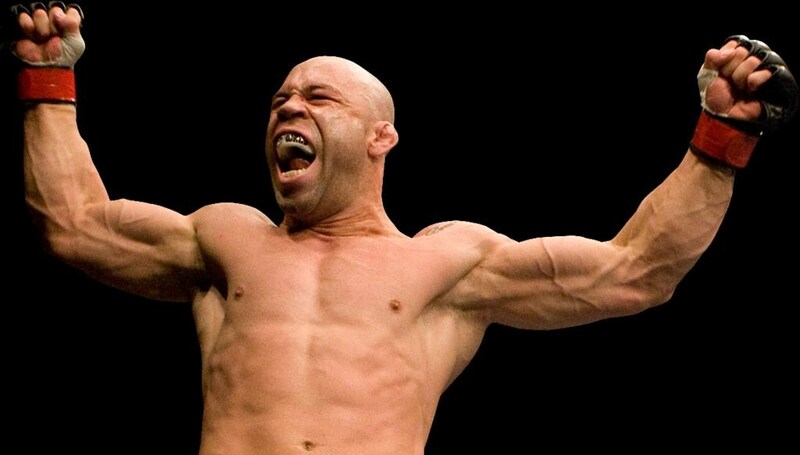 Wanderlei Silva started training in MMA at 13 because he said when he was little he was short and fat. He spent his early MMA career fighting in Brazil, then in Tokyo with the Pride Fighting Championship organization. He was a middleweight champion several times, and amassed a 31-7-1 record. Silva fought in the UFC one time back in 1998, and finally returned to the UFC in 2007 as a light heavyweight. He ended up 1-3 in his four fights, and dropped to middleweight, where he won his first fight against Michael Bisping in 2010. At 34, Silva has world-class experience, is a black belt in Brazilian Jiu-Jitsu, and has already had 45 professional fights. He is an intense fighter with good striking and precise technique. He is a Muay Thai expert, and loves to punch and throw knees in the clinch. He is what you would call a dirty boxer, but it works for him and his aggressive style. He has won 23 of his 33 wins by knockout, but has also lost 5 of his 10 by knockout. Silva has pretty good striking defense, but can be taken down. He was strong at 205 pounds, and looks even stronger as a middleweight. I think Silva will have success against Chris Leben because Leben will not be afraid to stand toe to toe with Silva. We will find out who will end up the last man standing in this fight. Chris Leben has wanted to be a MMA fighter since the 7th grade. He got his big break when he was chosen as one of the fighters for “The Ultimate Fighter Season 1” back in 2005, and has never looked back. He began his professional career 14-1 prior to the series, and then went 5-0 in his first five UFC fights. Since then, he has gone 6-6, and needs to prove that he still belongs as one of the elite middleweight fighters in the UFC. Leben is an aggressive standup fighter who has good power, with 13 of his 25 wins coming by knockout. He typically does not like to take his opponents down unless he is losing. The same thing goes for submission attempts. He typically doesn’t attempt them unless he is losing the standup battle. Leben has a very strong chin, and sometimes it looks like he enjoys getting hit. He will not back down, and sometimes that is to his detriment. His striking defense and takedown defense are not the best. He has looked sluggish in past performances. Coming off of a loss, this fight should determine if the desire to be a champion is still there. Look for either fighter to end this early with a TKO/KO. 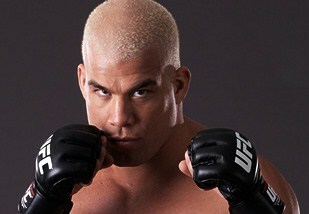 Tito Ortiz has not won a UFC fight since October 2006 (almost 5 years ago), and has only had 4 fights during that time. Ortiz was the best Light Heavyweight in the world from 2000 to 2003, and still holds many records for most Light Heavyweight title defenses (5), wins (6), and fights (9). Ortiz was a wrestler in high school. His coach was a UFC veteran, and Ortiz began his MMA career as a sparring partner for a MMA fighter. Ortiz went on to wrestle in college and began his professional MMA career at 22, fighting in UFC 13. Now at 36, his days in the UFC may be numbered if he can’t produce a win. He has lost 4 of his last 5 fights, with the 5th being a draw. Ortiz has always fought the top fighters in the world, with 44% of his fights being against former or current UFC or Pride Fighting Champions. Ortiz has had issues in the past with a bad back, and has taken long periods of time off between fights. One thing you can be sure of is that he will stand and fight. Ortiz loves to box, and loves the ground and pound even more. If he can take his opponent down, look for a quick finish. He has 8 knockouts in his 15 wins. He does a good job avoiding strikes as well as avoiding takedowns. His last 4 fights have ended in a decision, which did not bode well for him. Look for Ortiz to try and make a statement in this fight. He is one of the original fighters who ignited the popularity of MMA and The UFC, so it is good to see him still fighting. 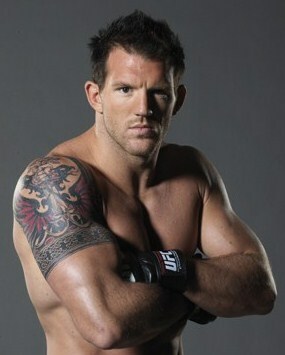 Ryan Bader was an accomplished wrestler both in high school and college. He was state champion two years in high school, and ranked as high as 4th in the nation in his weight class. At ASU, he was a two-time Division I All-American and three-time Pac-10 Champion. After graduating college, Bader missed competing in athletics. After helping a friend train for competition, he fell in love with Mixed Martial Arts. He rose quickly through the UFC rankings after winning “The Ultimate Fighter Season 8”, and was undefeated in his first 12 professional fights. In only his 6th fight in the UFC, Bader fought Jon Jones for the UFC Light Heavyweight title. He suffered his first loss of his career as he was very tentative, and did not look as though he was confident in his abilities against Jones. Bader not only has excellent wrestling skills, but he is a good boxer with heavy hands. He has 5 KO’s in his 12 wins. He also loves to throw the elbows. He is very good at defending strikes, but has not really been tested against the takedown. In his last 6 fights, only Jon Jones attempted takedowns, and to Bader’s detriment, Jones was successful. Bader wants to get back on the winning track as soon as possible to prove that he is still one of the elite light heavyweights in the UFC. He and Tito Ortiz have similar fighting styles, so it may come down to whoever gets the first takedown, or the most takedowns will win this fight. If the fight ends up going all 3 rounds, it’s anybody’s call who may win. 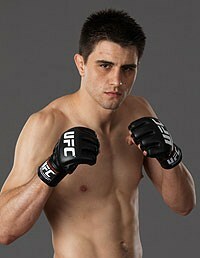 Carlos Condit started training at 15 and fighting professionally at age 18. He began his career 8-0 and fought professionally in Shootboxing, Pancrase, and the WEC before making it to the UFC. He was a perfect 5-0 in the WEC and after only his second WEC fight, became the WEC Welterweight Champion. He held that title until the WEC and UFC merger in 2010, while defending his title 3 times. In his first UFC fight he lost a split decision. Since then, he has won his last three UFC fights, and has won 11 of his last 12 MMA fights. He is a purple belt in Brazilian Jiu-Jitsu, and is a good striker and submission expert. Only 1 of his 26 wins has ended in a decision. He has 12 wins by KO and 13 by submission. He is also an aggressive fighter, likes to use his knees, and has excellent endurance. Condit is good at avoiding strikes, but can be susceptible to takedowns. I look for him to try and finish this fight with a submission. Dong Hyun Kim started training in MMA in 2004, but only fought professionally twice in Korea before retiring due to both small pay for fights and poor training conditions. His resurgence began almost 2 years later in Japan, fighting for the Japanese DEEP Organization. He won 7 fights in a row and ended up fighting for the DEEP Welterweight Championship. That fight ended in a draw, and the title remained with then current champion Hidehiko Hasegawa. After that, Kim signed on with the UFC and continued his undefeated streak, winning 5 more fights, with one no-decision due to his opponent using a banned substance. Kim is a 4th degree black belt in Judo, is a good grappler, and has an aggressive fighting style. He is also strong and athletic. Six of his last 10 wins have come by way of TKO/KO and 7 of his 14 total wins have come by way of decision. He is a pretty successful standup striker, but does like to take his opponents down. He is average at defending strikes, but excellent at avoiding the takedown. Both Condit and Kim are looking for an opportunity to climb to the top of the welterweight rankings. If Kim can last all 3 rounds, he may have a chance at victory, and doing just that. Dennis Siver is a short, stalky, and dangerous powerhouse. He started training in martial arts around the age of 15, learning Judo, Kickboxing, and Taekwondo. Siver was signed on with the UFC after amassing a 10-3 record. He went 1-3 in his first 4 UFC fights and was released by the organization. After winning his next fight, Siver was given another opportunity in the UFC. Since then, he has won 7 of his last 8 fights, and 3 in a row. Siver is a purple belt in Brazilian Jiu-Jitsu and a black belt in Taekwondo, and possesses knockout power in both his legs and hands. His signature move is the spinning back kick, although half of his 18 wins have come by submission and only 5 by KO. He throws a lot of strikes on his feet and doesn’t attempt a lot of takedowns. This is partially because he has not been very successful with his takedown attempts in the past. He is good in defending strikes as well as takedowns, but is susceptible to submission. Only 6 of his 25 fights have gone the distance, so look for either a knockout or submission to end this one early. Matt Wiman loved and competed in many sports growing up. At around 17, he began to fight and train in local gyms. After about 4 years of training, he tried MMA fighting professionally and won his first 5 fights, fighting in the Extreme Fighting league. After going 6-2 in his first 8 fights, Wiman got an opportunity to fight in the UFC at UFC 60. After losing that fight, he got another opportunity with the UFC as a contestant on “The Ultimate Fighter Season 5”. Although he didn’t win the six figure contract, Wiman was given an opportunity to fight in the UFC and has won 7 of his last 9 fights, and the last 3 in a row. He is a well-rounded fighter, with good standup, Jiu-Jitsu, and a decent ground game. He has an unorthodox style and is typically in great condition to go the distance if needed. Wiman has only been finished once in 18 fights, and has won 4 by KO, 4 by submission, and 5 by decision. He is good at defending strikes and takedowns. Wiman is significantly taller than Siver, so he may look to out strike Siver from a distance. Wiman can win this fight in a number of ways, but don’t look for this one to go the distance. ~ by Troy Erickson Realtor on July 1, 2011.